Physical activity is as beneficial for special needs students as it is for any child, so inspiring children of all developmental stages to participate for their overall health is important. Exercise and participation in sports can boost confidence and self-esteem for students, encouraging them to be a part of a team and to set goals. It can also improve motor and social skills, increase emotional and psychological health, and reduce risk of other associated diseases! Physical Education improves physical and motor skills in all students and is imperative to their development. Adaptive PE is a modified physical education program designed for a student with a disability. The student’s individual plan for Adaptive PE can be one-on-one instruction, in a general PE setting with modifications, or a combination of both environments. When Physical Education Teachers involve students with special needs into a group environment, where the student can feel like a vital part of the team, the experience can improve self-esteem and provide an opportunity to connect with classmates. It is important for the Adaptive PE teacher to develop an appropriate modified plan for the student, assisting the student in maintaining a healthy and active lifestyle as they transition into the next step of life. 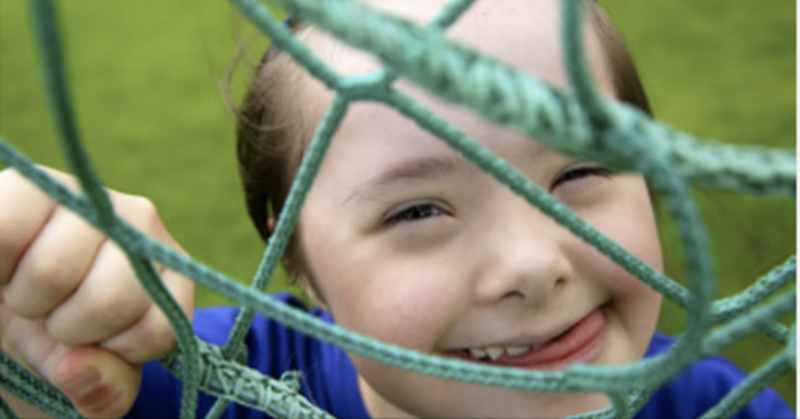 Children with special needs may fear they will face barriers when attempting to join a sport’s team, but almost any athletic sport or activity can be modified to allow for any student. There are also some activities that do not require any modification at all! Swimming can be great for students who are wheelchair-bound, giving them a sense of freedom felt within the water while improving muscle strength and endurance. Yoga is great for special needs students because it can be customized to their needs to improve flexibility and self-control. Students with autism may benefit more from an individual sport, such as horseback riding or track, because they may struggle with social interactions, and these activities put less emphasis on team communication. Starting any child in sports early gives them continuous opportunities to develop a habit of physical fitness, as well as develop life-long positive social relationships. The Special Olympics offer opportunities in year-round trainings and competitions for children with disabilities. Students are able to participate in the Special Olympics as young as 8 years old, with as many as 30 individual or team sports programs available to them. The Special Olympics also have programs, such as the Unified Champion Schools, which is designed to be included into a school’s current curriculum to implement inclusive sports and other physical opportunities. Also available is Special Olympics College, which is a program that connects college students with individuals with disabilities to foster a positive relationship through sports.